Are you curious to know 3 tips to boost your networking strategy in London? Women in business in the City of London have been adapting and exploring new ways to grow their businesses. I have been a keen observer in my quest to grow my own business. I’ve participated in and observed a premium international women’s executive/entrepreneurs network for over 14 months. I’m therefore delighted to share 3 tips based on a trend that could equally boost your networking strategy and possibly provide the results you’re looking for: business growth, meaningful connections and personal development. 1. One to One – Increasingly, people are looking for opportunities to make several touches and build relationships with a contact both online and offline after initially meeting them at a networking event. 2. One to Many – There’s also the tendency for networkers to explore the wider network of the initial contact, delving a bit deeper into how they could be of service to each other beyond their immediate exchange of product/services. This could be a really smart angle for greater business wins. 3. Larger taster event (s) – These are events where executives/entrepreneurs get to sample and test the pulse and culture of a networking group to see if they are a good fit for longer term fun and engagement. Register to visit an upcoming structured and fun meeting near you and receive an exclusive invitation to attend: Register here. Maggie Sarfo is Regional Director for The Athena Network City of London. She is committed to enabling women executives and entrepreneurs to achieve their business and personal growth aspirations. She is well know for saying to members: “If I can’t genuinely add value to you and your business, I would not ask you to become a member”! 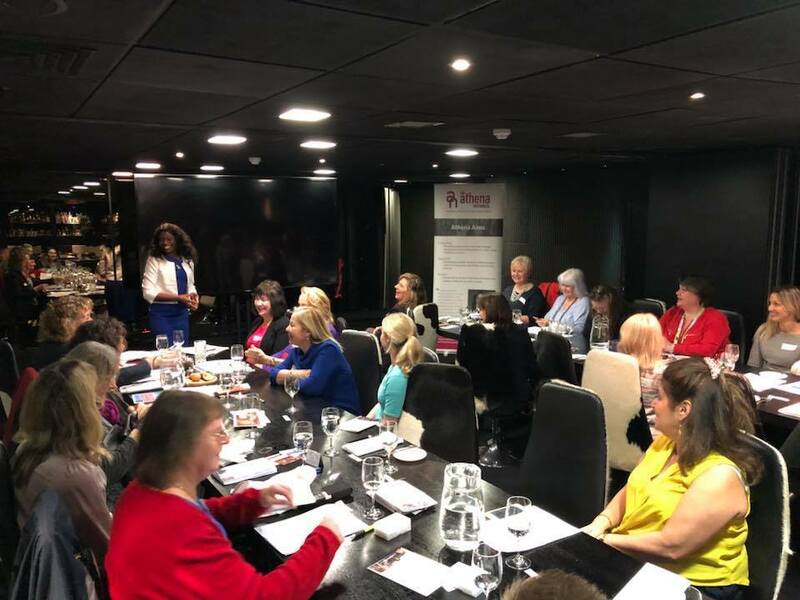 Together with the Committee and Members of the groups, The Athena Network (City of London)’s aims to help members grow stronger, more profitable businesses, and create more opportunities for career success.